You might have seen them on the road: wobbly bikes with big tires, their riders smiling widely. If you enjoy hiking in Gatineau Park, there is a good chance you have seen them on the trails. And if you are a mountain biker and don’t already have one of these, then it might be the missing piece in your outdoor-adventure regime. We’re talking about fat bikes. Developed for biking on unstable terrain, these bikes have oversized tires and a frame that accommodates for the low ground pressure of snow and sand. 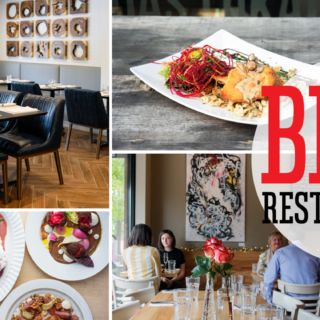 Ottawa Magazine checks out the scene. While commuting by bike in winter is always a bit of an adventure, avid cyclist Charles Downey says that riding his fat bike, which works well on both fresh and packed snow, injects a new element of discovery into his daily grind. Sometimes this means avoiding the paths altogether, instead carving out a route based on conditions (and his energy level). Plus, rather than loading his gear into the car and driving to Kanata Lakes or Gatineau — both popular spots for biking — Downey says commuting with a fat bike combines practical transportation with the fun of mountain biking. While they might look heavy and sluggish, fat bikes are only five pounds heavier than an equivalent mountain bike. And their oversized nature is part of the fun. “They do resist directional change a little bit more,” says Downey. He says the extra bounce (afforded by big tires and low air pressure) makes it feel as if you’re on a scaled-up kids’ bike. As for the price tag, since fat bikes entered the mainstream, they have become more accessible and can now be purchased for less than $1,000. And no need to train for this new activity — it’s just like riding a bike. For the past few years, the National Capital Commission has been working with the Ottawa Mountain Bike Association to designate specific trails for fat-bike enthusiasts. In 2015, the NCC launched a pilot project to collect feedback from those who used the fat bike (or snow bike, as the NCC refers to them) trails, as well as from other users. 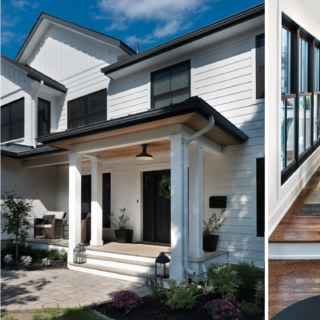 Some concerns were raised, but that’s to be expected with mixed-use trails. 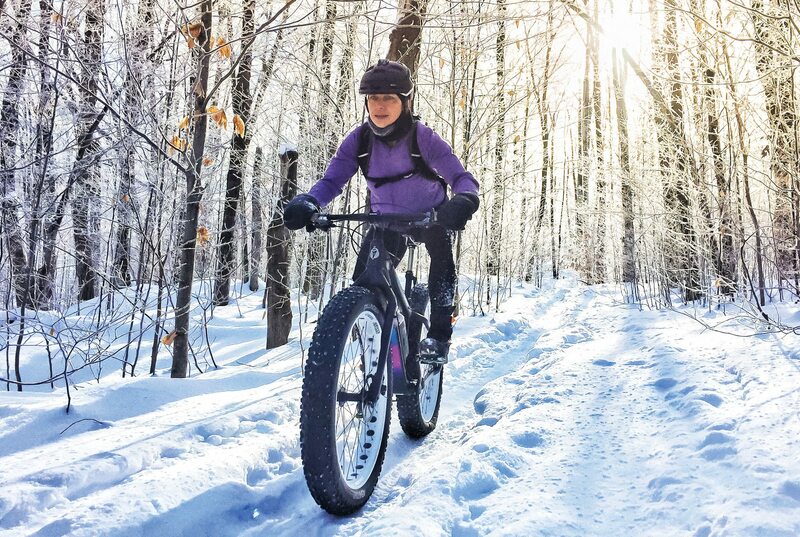 Check out the snow biking trail report for a list of Gatineau Park trails open for big kids and their fat bikes. 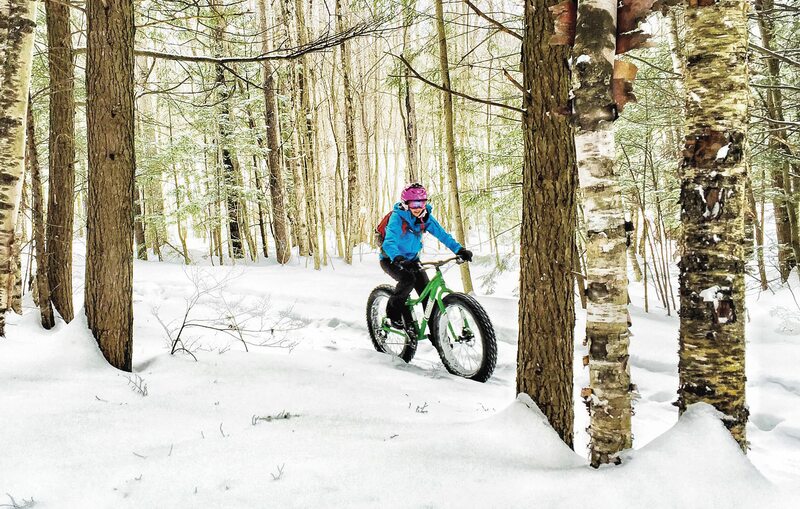 Fat-bike enthusiasts are quick to extol the virtues of this fast-growing sport. For one, some traditional mountain biking trails are actually made smoother in the winter. Call it snow-assist! Plus, the fluffy stuff makes flying over the handlebars a bit less painful. And because no one is breaking any records on a fat bike, group rides become more about the views (and those precious “flask stops”) than getting to trail’s end first. Bored with typical winter camping? Try a “bike packing” excursion this year.